Surely you’ve heard the word, but do you really know what biometrics is? A concept in which thanks to the needs of authentication in mobility solutions is gaining more and more followers every day. Being an irrefutable proof of the identity of the person simplifies and improves the user experience. Today from viafirma, we wanted to make a review of the main trends in mobility biometrics. Facial recognition technologies, iris recognitions, voice, or fingerprint, even the way you type in your laptop are part of biometric authentication systems. Biometry, an advanced technology that allows associating and validating personal and non-transferable attributes to each individual. This technology can be applied to a myriad of authentication and recognition solutions, and there are already many areas that make use of it. According to the Standardization International Organization, biometrics is the automatic recognition of individuals according to their biological and behavioral characteristics. It is a technology based on the recognition of a physical and non-transferable characteristic of people, such as fingerprint or facial recognition. This person identification system is applied in many processes due to two fundamental reasons, safety and comfort. It uses unique attributes of people for their identification and authentication. Among these are a person’s fingerprint, iris, face, voice, etc. It would be impossible to conceive biometrics in technology without the existence of sensors. After all, these are the ones that capture the biometric evidence that allows authentication and access. The main use of biometrics in the mobility environment is the authentication of the user to test their intervention in any process or to have access to certain information or service. One of them, increasingly widespread is the digital signature of documents. Authentication based on something known: the most typical example would be login and password. Authentication based on something that you have: this is the case of smartcards, token, etc. Authentication based on something that is done or done involuntarily: biometrics enters the latter category. 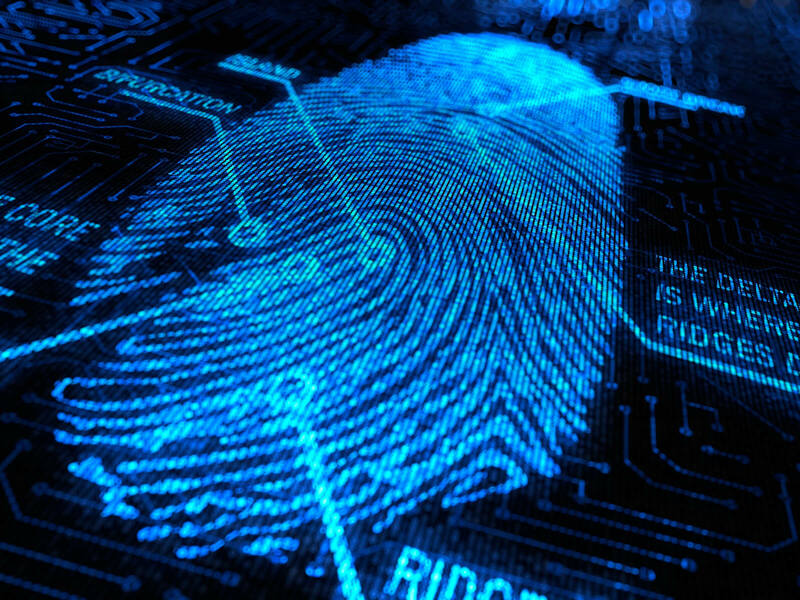 It is in this environment in which the biometric signature is born, a solution that adds evidence of a physical and unique nature to reinforce the security of electronic handwritten signatures. This technology registers different biometric factors that identify the signer. These kinds of signatures are made on electronic devices, especially graphic tablets. Its use extends to several scenarios: from signatures to confirm the payment by credit card (typical in large areas), to signing to confirm the receipt of orders with the Post Office, among other examples. This authentication solution collects biometric evidence from the signer to corroborate its identity. As discussed before, authentication can be done through one or several evidences – several IdPs – in case a higher level of security is required. This is known as strong or multifactor authentication. When it comes to strong or multifactor authentication, it is important to note that you can combine biometric factors with others that are not. For example, the combination of one or several biometric factors – fingerprint and facial recognition – combined with a password or encryption of a token would be considered high security. The latest report from the National Cryptological Center, under the CNI, warns that “Spain is one of the countries most affected by the growing number of attacks on mobile phones.” Faced with this situation, the security and authentication solutions in mobility that use biometric technology charge a special role. The mobility sector is one of the fields that has been added to the biometrics to strengthen the security of its devices and offer greater guarantee to its users. They use biometric evidence to identify and access equipment, documents or data. In this context, the biometric signature is of great importance, which offers more security guarantees by registering physical characteristics of each person. These data may, if necessary, serve as evidence in a trial. There are solutions like Viafirma Documents that allow to register biometric evidences, along with other authentication factors at the moment of the signing of any document from the mobile device. Providing sufficient evidence to the firm to ensure that the person who has signed the document is who claims to be. Thus some of the elements that are collected are: biometric data, photographs, the geolocalized position of the signer and the time stamp among others. The use of mobile devices increases annually. Recent studies indicate that more than 2 billion people will access the internet from smartphones and tablets this year. These figures show the change in the society consumer habits of and the evolution of the way between consumer and company relate. There are more and more applications that allow payment via mobile devices or remote procedures through mobility solutions. To standardize purchases from mobile devices and encourage their use, it is necessary that security technologies are used to ensure the personal information of users. For this, the technological companies adapt their products to biometric solutions: biometric signature, fingerprint detection, facial recognition, iris detection sensors, etc. The fingerprint is one of the first biometric evidences that started to be implanted in the mobile technology. This is undoubtedly a factor that contributes a high degree of security, since it is a unique and non-transferable criterion, very difficult to replace. Since 2007 this model of security is being tried to implement in smartphones. One of the first to try was Toshiba, with its model G500. After this came others like the Motorola Atrix (2011), which introduced the fingerprint to unlock the terminal. Despite these first attempts, it was not until 2011, with the arrival of the iPhone 5S when this technology was established globally and began to attract the attention of the general public. Since then mobile technology has recognized the usefulness of this solution that has proven solvent, safe and comfortable. Nowadays, fingerprint sensors are no longer considered as one more features, which adds value to a particular terminal, but is a mandatory feature in high-end models. Unfortunately, while fingerprint readers built into smartphones with Android systems can be used by any third-party application, Apple has so far restricted its use to its own, so it limits the possibilities of its use. One of the latest trends in security and identity recognition in mobile phones is scanning the iris. One of the first brands of telephony to apply to their products has been Samsung. This sensor, in addition to providing a progress in safety, it offers greater comfort than existing methods. 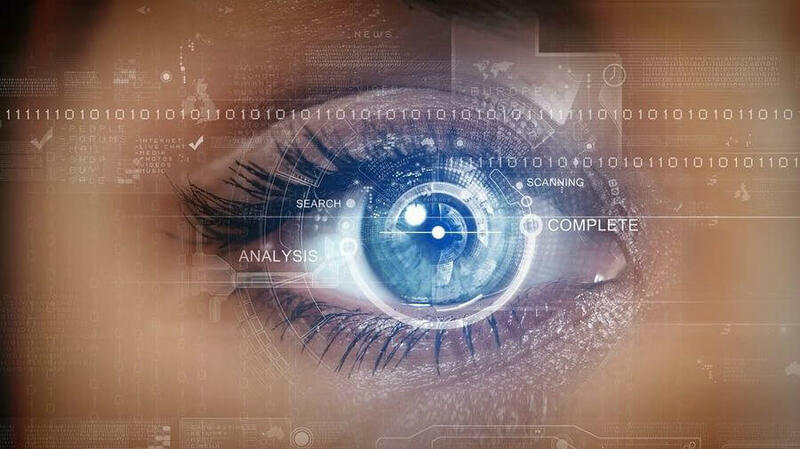 The iris scan registers the user’s eyes on his terminal, so that he can access the restricted documents by just looking at his front camera and placing his eyes in the position indicated on the screen. The iris scanner can be conceived as a unique solution, but also as a perfect complement to the existing security tools. If the fingerprint fails, the password is not remembered or the security pattern is not detected, we will almost always be able to go to the iris scanner with the camera. A new recognition trend for safety in mobility is the use of selfies. The idea is for the user to demonstrate his identity by means of an autofoto that allows him to access the restricted documents. The consolidation of this system in the market is supported by the implementation of access solutions by selfies by corporations of the level of MasterCard o BBVA. 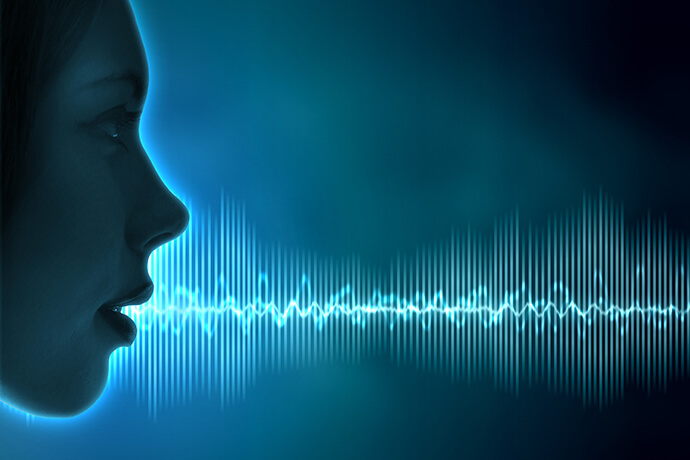 Speech or voice recognition is the biometric evidence that uses the voice of the user for purposes of recognition of identity. This system is capable of measuring more than 100 characteristics when evaluating a voice and contrasting that information with the voice mark. A voice recognition system consists of several layers or models. We can find the acoustic model (identify where the sound comes from), the linguistic model (language), semantic model (understand how the user speaks and the construction of sentences) and finally comes into play the statistical engine, that picks up phrases once transcribed into a text and perform a search in the database. Voice recognition is one of the safest biometric evidences since no one can steal a voice mark or supplant it. These are some of the most advanced biometric technologies for mobile devices. It would not be convenient to choose only one, since each one offer different advantages. The ideal will be to implement or develop solutions that combine them, thus offering a greater guarantee of security and different options for the user. We already talked in this blog abot MOMENTuM, a research and development project of a multifactor biometric security suite for security and access control in mobile devices. So far our analysis of biometric technology and its uses in mobile devices. If you want to get more information do not hesitate to contact us.